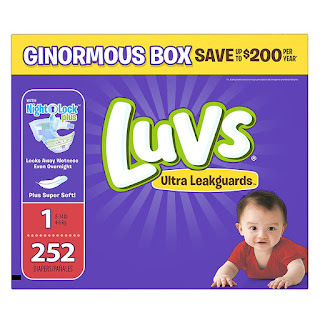 Head over to Amazon where you can score this Large 252-count box of Luvs Ultra Leakguards Size 1 Diapers for just $18.98 shipped when you opt to Subscribe and Save! Or, if you need a bigger size you can snag Size 2 with 216 diapers for the same price. Note, select prime members with 5 or more product subscriptions will pay as low as $15.98 shipped.